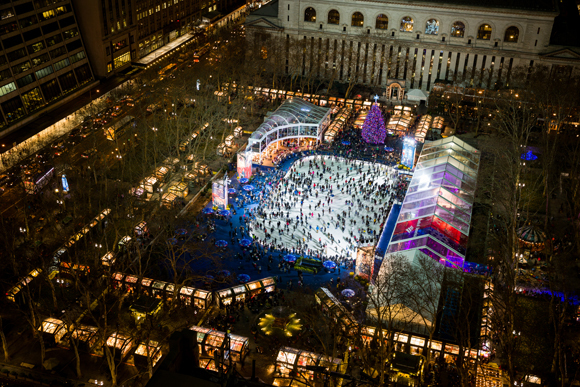 Join us on the freshest ice in New York City this Friday, October 30, as NYC's only free admission skating rink opens with a ribbon cutting ceremony for the 2015 Bank of America Winter Village season! Enjoy skate performances by Team Image synchronized skating team, appearances by New York Islanders Eric Boulton and JF Berube, and the introduction of our Winter Village All Stars. 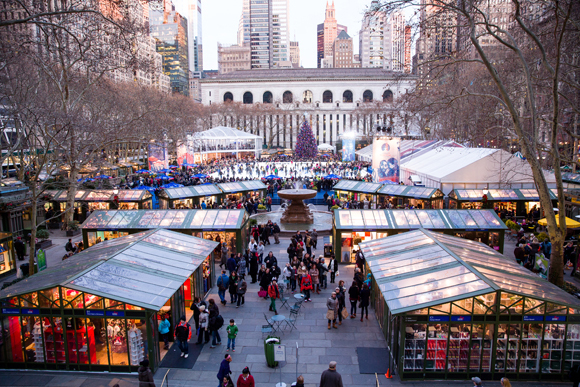 This year, Bank of America Winter Village at Bryant Park is focusing on the spirit of giving. The Winter Village All Stars is a new initiative that spotlights and rewards young New Yorkers who exemplify this spirit by giving back to their own communities. The All Stars, aged 7-13, will help cut the opening day ribbon with the Islanders and Winter Village officials. In addition to free admission skating, enjoy your first look at the Holiday Shops. You'll find gifts, apparel, and treats to satisfy even the most discerning of shoppers or gift recipients.